Landscape of the Market for Buyers Class is Back! Wednesday Sept 5th! 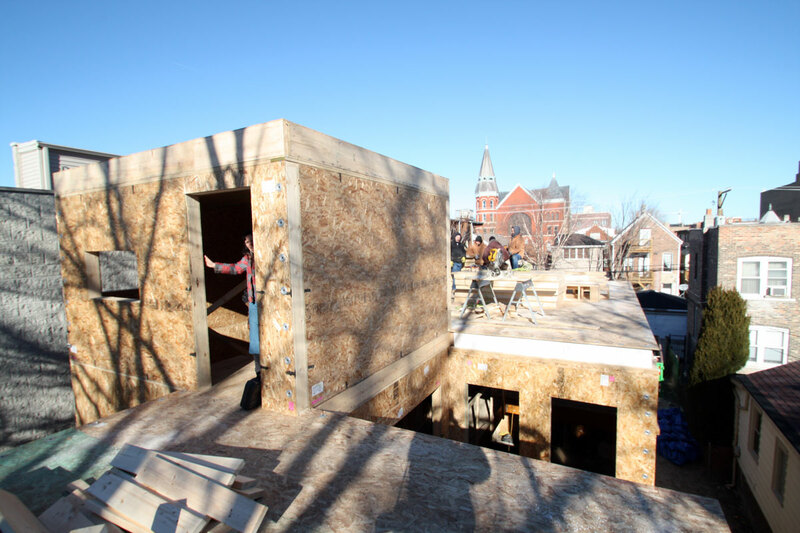 Checking in With The Newest C3 Prefab! 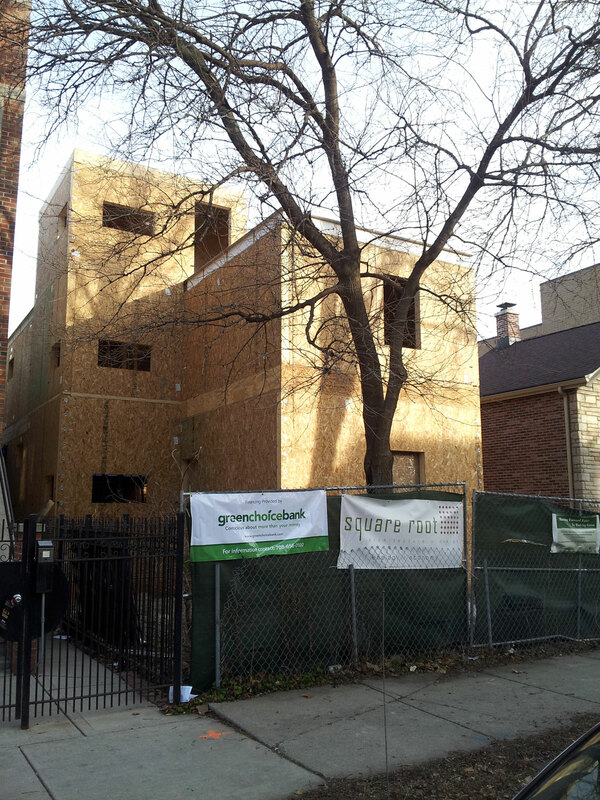 The C3Prefab in West Town is quickly taking shape! 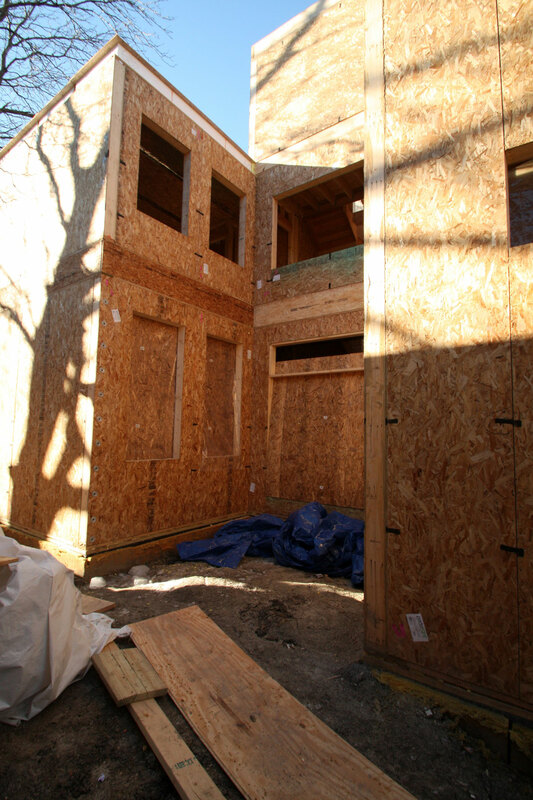 The SIPs wall panels and structural framing are installed with an insulation rating of R30 (walls) and R60 (roof). These ratings are well above EnergyStar's zone 5 recommendations and we expect top insulation performance. SIPs panels are constructed in the factory, therefore precision and quality control are much higher than what can be achieved with on-site construction. 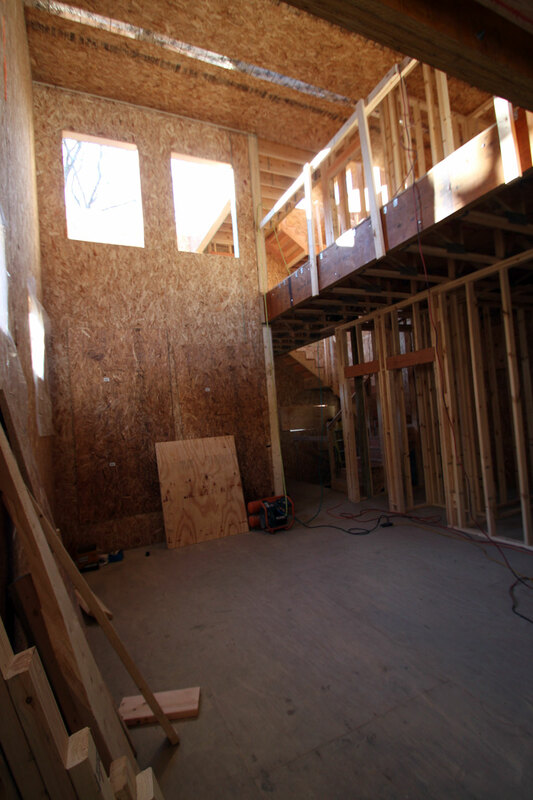 Currently the interior framing and stairs are being constructed. Here are a few pictures of the open living room, dining room, and kitchen. In these pictures you can see the double height ceiling, which is an optional feature. 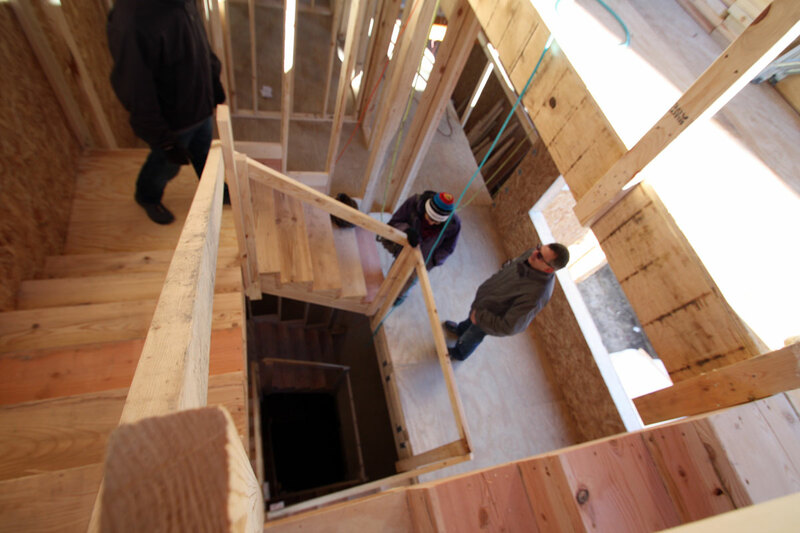 Below are a few shots of the second floor stairwell and hallway. 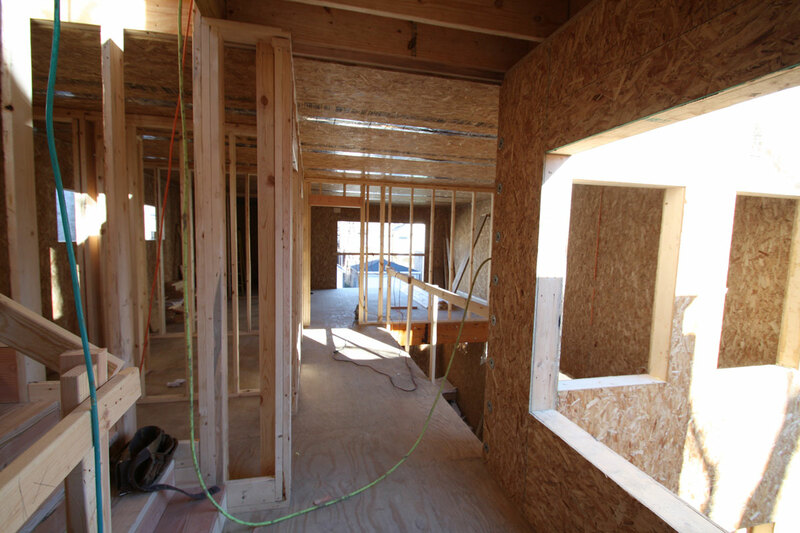 The hallway looks over the double height ceiling of the main living space and leads to the master bedroom and bath. The large window in the hallway looks over the courtyard. 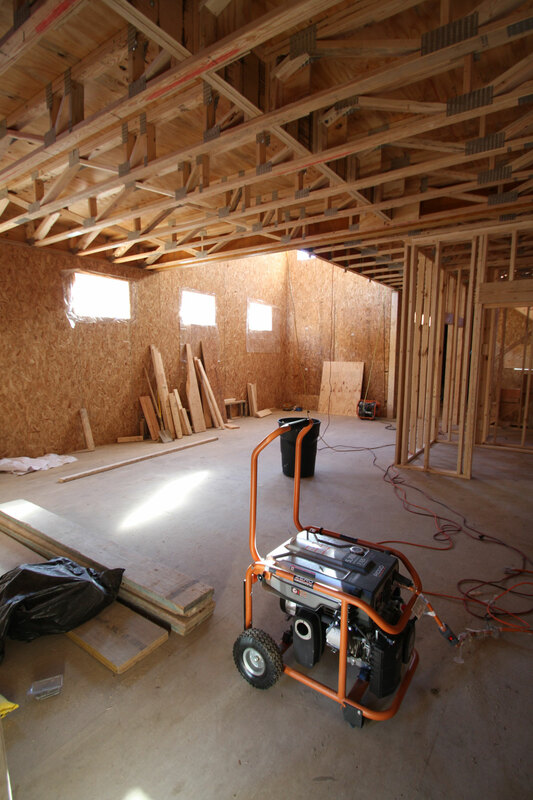 Furring strips will be installed at the exterior walls which will form an air space between the exterior SIP surface and the finished siding. The outside face of the SIP panels will then be treated with a product called Enviro-Dri that acts as a breathable building membrane (in place of Tyvek). So stay tuned for more exciting updates! LivingRoom Realty is the exclusive sales team for C3, if you are interested in learning more about the possibility of building your own prefab home please contact us.